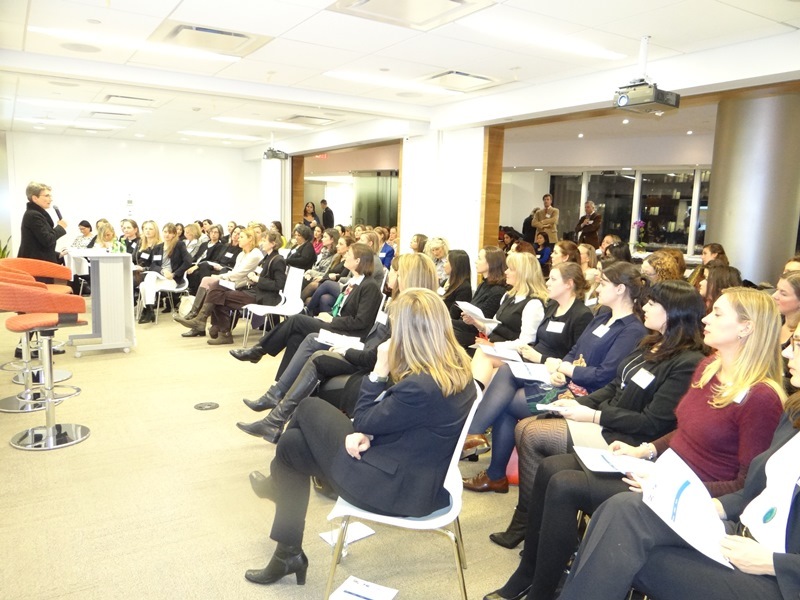 Women-in-Business is an exciting new initiative, that was jointly established by the Austrian,- German-, and Swiss-American Chambers of Commerce in New York. This is the first time that all German speaking Chambers work together in such a close collaboration. The new international forum for Women in Business will be held as a high caliber speaker series and networking event for female participants four times throughout 2015. Each event will have it’s own topic from “Women in Leadership” to hearing from prominent “Female Entrepreneurs”, to following a panel discussion of leading female academics on “Women’s issues”. The forum will not only bring women of all Chambers’ of Commerce member companies together, but it will reach international women from various backgrounds and on different levels in their careers. The premiere of the “Austrian-German-Swiss Women-in-Business Forum” took place on Wednesday, January 28th 2015 and was an immediate success with over a 100 registrations from men and women with all kinds of different backgrounds. please let us know under office@usaustrianchamber.org.